Walter Garland Duncan, 72, of Wapella, Illinois, formerly of Farmer City, Illinois, passed away at 9:40 P.M., Friday, August 17, 2018, at Advocate BroMenn Medical Center, Normal, Illinois. His funeral will be held at 10:30 A.M., Wednesday, August 22, 2018, at Calvert-Belangee-Bruce Funeral Home, Farmer City, Illinois, with Pastor Danny McCubbins officiating. Burial will follow in Greenleaf Cemetery with military rites accorded. Visitation will be from 6:00 P.M. – 8:00 P.M., Tuesday, August 21, 2018, at the funeral home. Walter was born February 25, 1946, in Casey County, Kentucky, a son of Walter and Nettie Maybriar Duncan. He married Sue Ann Shaw on September 25, 1956, in Farmer City, Illinois. She survives in Wapella, Illinois. 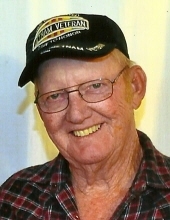 Walter was a retired carpenter and an Army Veteran of the Vietnam War.